The new Gallup poll (see chart below) is very revealing! We previously reported that the Russia topic is a nothing burger for most Americans and now we find that Global Warming is a zero too! 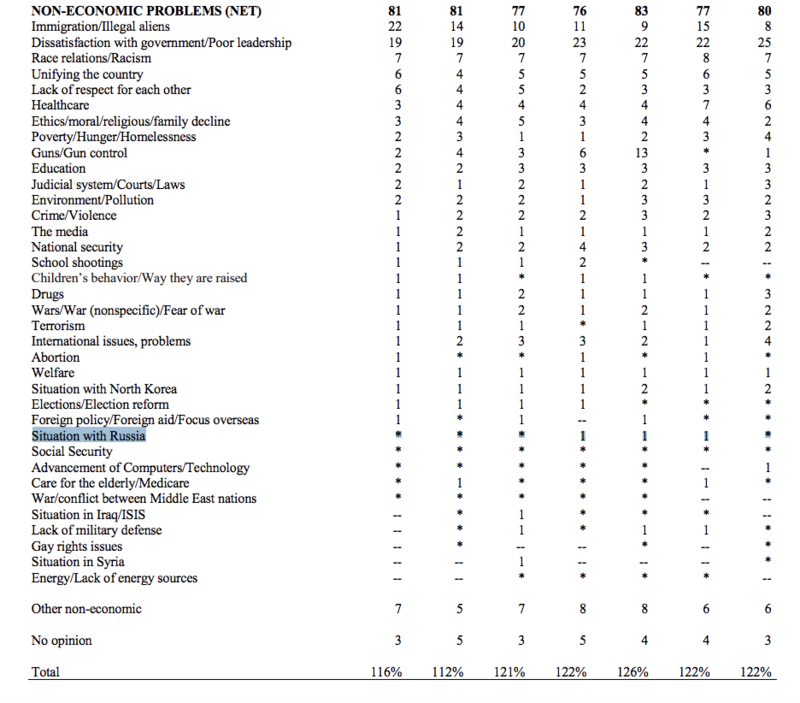 Actually, NOBODY thinks global warming is a problem contrary to what the lefty organizations try and tell you. Of course, the previous administration would have you believe otherwise. OUR PREVIOUS REPORT ON THE GALLUP POLL AND WHAT AMERICANS THINK IS AN IMPORTANT ISSUE…HINT: IT’S NOT RUSSIA AND IT’S NOT GLOBSL WARMING!